It’s easy to say that superheroes have effectively taken over the world. Perhaps not quite as literally as the Authority, the heroes who are the focus of this piece, but certainly they have become a cultural blitzkrieg, showing nary a sign of being stopped anytime soon and it seems, as though, every year we are greeted by new video games, movies and TV shows, both live action and animated, featuring the icons from the pages of both DC and Marvel Comics. Let us take video games for example. 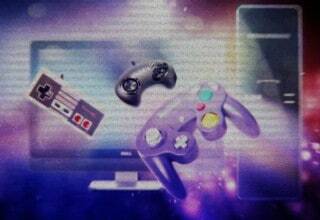 Upcoming games like INJUSTICE 2 and MARVEL VS. CAPCOM: INFINITE are sequels to established franchises featuring the DC or Marvel characters. There are also games featuring the tropes of the superhero genre, like the INFAMOUS and PROTOTYPE series which achieved considerable acclaims and sales in years past. One could even argue that current hack and slash games like the DEVIL MAY CRY and BAYONETTA series with their dedicated focus on character driven action owe some debt to the aesthetic superheroes have provided to the culture at large. But there is one particular work I would like to discuss and its effects over the culture and that is Warren Ellis’ tenure on both Stormwatch and its successor, The Authority. Without diving into too much detail, Stormwatch was a comic book that centered on the eponymous U.N. sponsored team of superheroes led by Henry Bendix AKA The Weatherman, whose mission is to safeguard the world against threats of all sorts. The series began to display political commentary and criticisms of the excessive use of force from its members, constantly dancing the line between watchful guardians and irreverent revolutionaries. Eventually, many members of the team, specifically those not created by Ellis during his tenure, were slaughtered in the Wildcats/Aliens crossover and what few remained formed a new team and the center of the infamous Authority comic. Is Superman Still Relevant? Read up on it! Whereas the members of Stormwatch only hinted at irreverence and disdain for a status quo they inevitably enforced, the members of the Authority were all too willing to not only disregard it but to supplant it completely with their own oligarchic vision of a finer world. As writer Mark Millar once said, The Authority should start where the Justice League and Avengers draw the line and this was true in just about every sense. Imagine a team with the power of the JLA but without the ethical inclinations. A team that actively dealt with their enemies in brutal manners and utter finality and were not afraid to demonstrate their politically leftist inclinations in the most fascistic manner possible. Now, I am fully aware that Ellis’ work on these titles was not the first time we saw the mix of superheroes and politics as that has been done before in the pages of Watchmen, The Dark Knight Returns, Miracleman, and Marshal Law to name a few. Nor was his work the first time we had seen widescreen comics. That had already been done before in Grant Morrison’s JLA, of which The Authority is a trope as author Geoff Klock rightfully points out in his book How to Read Superhero Comics and Why. Anyone of those works has either received considerable analysis or is completely worthy of it. However, I believe Ellis’ work has not yet received the proper accreditation in recent years, especially in regards to the depth of influence it has had in major works at the fore of popular culture. Ellis’s tenure on Stormwatch (alongside artists Tom Raney, Oscar Jimenez and Bryan Hitch) and the sequel/successor The Authority which he co-created with Hitch were not only watershed moments in comics, but their influence can be felt in many works across various mediums. Major works I would like to address in this piece range from the cinematic, such as key Marvel films like both AVENGERS films and the CAPTAIN AMERICA films directed by the Russo Brothers. In animation, the JUSTICE LEAGUE (UNLIMITED) cartoon series produced by Bruce Timm and Dwayne McDuffie and most recently, the JUSTICE LEAGUE: GODS AND MONSTERS multimedia project spearheaded by the film of the same name alongside comics and animated shorts (written by Timm and Alan Burnett) carry considerable baggage from Ellis’ work. Finally, the depth of impact from these comics is demonstrated in the smash hit INJUSTICE: GODS AMONG US video game and its tie-in comic series as initially written by Tom Taylor. These products are highly praised and culturally relevant and I believe some of their success is owed, in part, to these works by Ellis. Thus I would like to begin by addressing the animated series by Timm and McDuffie. ONE PUNCH!!! Read up on one of the best animes of the year! This animated series began back in 2001 as the simply titled JUSTICE LEAGUE and would change its dynamic and format in 2004 along with its title to JUSTICE LEAGUE UNLIMITED. The original series focused on two-part episodes (effectively creating mini-movies) and it was in one of these that the producers laid bare their influence to the then active popularity of the Authority. In one of the most acclaimed episodes of the original series, titled “A Better World,” first aired in November 2003, the Justice League encounters a parallel dimension version of themselves known as the Justice Lords. While their goal to save the world is mostly the same, the Justice Lords took it past acceptable ethical boundaries. For starters, in their world, Superman murdered Lex Luthor who just so happened to be the President of the United States. It’s never explicitly shown or talked about but this is seemingly brought about due to the death of the Flash at the hands of the President. Soon after, the Justice Lords enforce their new world order with a fascistic drive, depriving the world of free speech and dealing with villains through lobotomies or outright executions. 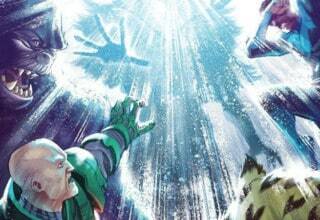 Eventually, they manage to cross over to the dimension of the Justice League and announce themselves to the world dealing with Doomsday in a brutally efficient manner, ending his threat with an on-the-spot lobotomy in front of members of the press, some of which voice approval over this action. They then begin their process of militarizing the Watchtower into a powerful orbital fortress (a plot point that would play heavily in JLU). After some set-up, both teams eventually confront each other with the League coming away victorious but only by securing their Lex Luthor’s help. 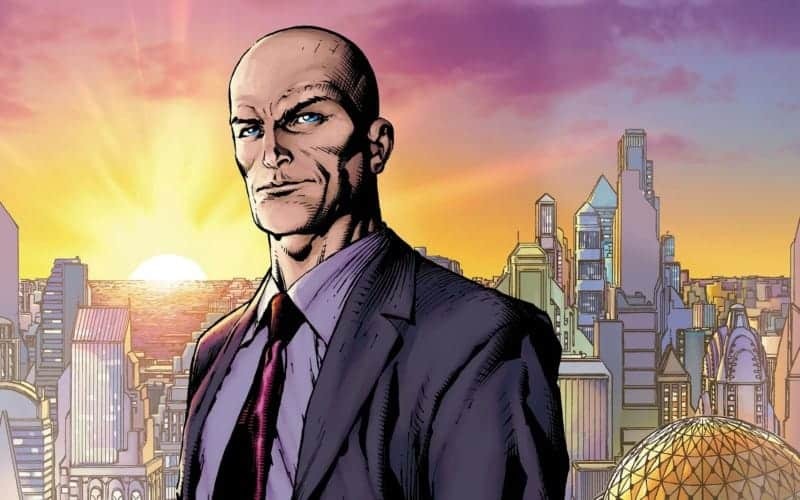 The episode concludes with a press conference surrounding Lex Luthor who admits quite ominously that the business world is no longer as interesting to him as it once was and now he feels like turning his attention towards politics. By the producers own admission in the DVD commentary track, the Justice Lords were based and a reaction to The Authority. While they certainly showcase the widescreen action and fascistic overtones endemic to the comic, it’s still done in rather accessible way and depicts the dilemmas inherent to such a concept. The actual book may present them as heroes but only because the enemies they deal with are by definition worse. While this was only one episode in the 2 seasons of JUSTICE LEAGUE, its impact over the next iteration was substantial. The original incarnation of the series was focused almost exclusively on the seven founding members with occasional guests showing up and so JUSTICE LEAGUE UNLIMITED featured over 50+ superheroes in a revamped Watchtower, complete with an orbital canon and mass-produced javelin-class starships. Already we begin to see the echoes of Skywatch, the orbital base of Stormwatch and the Javelins bear more than a passing resemblance to the hammerstrike fighter-bomber craft that is used for either chemical/biological warfare or cleanup. In the commentary track for “A Better World,” Timm and McDuffie also firmly establish that the first two seasons of JLU were basically a massive sequel to the episode, with narrative seeds planted throughout the new 30-minute episode approach. This also echoes Ellis’ approach to Stormwatch. His first 13 issues of the first volume drawn by Tom Raney were designed to be self-contained stories in 22 pages. Nevertheless, he planted seeds for a massive storyline titled “Change or Die” where the team was confronted by revolutionary superheroes named the Changers, essentially direct spiritual antecedents to what would eventually become the Authority. Similarly, in JLU we begin to see questions of authority and the use of power begin to manifest in the potential danger of a team like the Justice League ever going rogue. This is first depicted in the episode titled “Dark Heart,” written by Warren Ellis himself. In this episode, we are first exposed to the true combined power of the League and their space-based weaponry. In the second volume of Stormwatch, specifically in the storyline titled “Bleed,” Ellis had an alternate version of the team demonstrate their true power to the U.S. government with a similar display from orbit. While this TV show was the first to emulate the approach and thematic of Ellis’ work in a rather overt manner and having done so only a few short years after the comics had been published, it would not be the last time we would see its influence over different media, with the next one being one of the most popular and culturally monolithic products of the 21st century. The Marvel Cinematic Universe (MCU) that began with 2008’s IRON MAN and continues to this day bears very particular influence not just from Stormwatch and The Authority proper, but from many of the creative minds who worked on those books at some point or another. For starters, Joss Whedon’s AVENGERS films bear the widescreen aesthetic pioneered by Bryan Hitch during his tenures on Stormwatch and The Authority and this is no accident or coincidence. After his tenure on those books had ended, Hitch would eventually move to Marvel and began work on what is universally considered his magnum opus: The Ultimates. 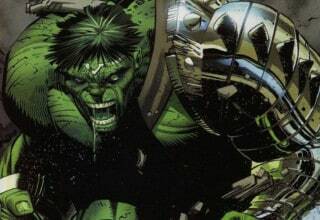 Through two limited series which were written by Mark Millar, successor to Ellis himself on The Authority, the two sought to imagine how the concept of the Avengers would function in the then nascent 21st century. Millar summarized his approach as simply imagining how an Avengers movie would work. Perhaps because the two of them had previously worked on The Authority but at different times, the influence is laid bare. There is a large overtone of cynicism regarding the heroes place in the 21st century, a point Millar extrapolates by associating the heroes with the term “person of mass destruction.” During his Authority run, Millar explored the themes of state-level intervention, power, its abuse and the consequences of said abuse. All these themes would be expressed more potently during Millar’s tenure on The Ultimates, especially since Millar was using the book to criticize the Bush Administration at the time of publication. 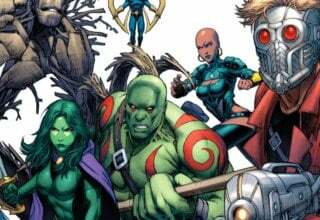 Due to the quality and the accessibility of The Ultimates and The Ultimates 2 and of the Ultimate Marvel imprint overall, Marvel Studios would use them as fundamental blueprints for the elaboration of the MCU. Joss Whedon, writer/director of both AVENGERS films, would borrow heavily from Millar’s work for both films. His clear love for the material made blatantly clear as he actually penned the introduction to the first series hardcover collection a full 8 years before his first AVENGERS film was released in cinemas. This is quite fitting, as the overall plot of the first film was essentially an elaborate amalgamation of issues 1 and 4 of Stan Lee and Jack Kirby’s Avengers comic and of the first Ultimates series. The overall aesthetic of the movies, specifically the character and costume designs, were all essentially lifted from Hitch’s designs. For instance, the sleek military looks of Black Widow and Hawkeye were favored instead of their more usual gaudy costumes from the regular Marvel Universe. The same could be said for the portrayals of Quicksilver and Scarlet Witch in AVENGERS: AGE OF ULTRON, coming off as much more serious and grounded with only hints of their regular Marvel Universe incarnations. Having said all this, the movies reflect the scale and action of Hitch’s artwork more than they actively portray anything resembling politics. They are pretty simple films that depict a group of superheroes saving the world from some larger than life threat. This is in part due to the antagonists of both films, Loki and Ultron respectively, lacking any political inclinations as opposed to the Liberators from The Ultimates 2. But of course, what these films lack in political topics, the CAPTAIN AMERICA films more than make up for this deficiency. The films CAPTAIN AMERICA: THE WINTER SOLDIER (TWS) and CAPTAIN AMERICA: CIVIL WAR, directed by the Russo Brothers and written by Christopher Markus and Stephen McFeely, actively make use of political contexts and metaphors to express issues regarding the balance of freedom and security and the power vested in certain authorities. I’m talking specifically about the depiction of SHIELD in the film. Over the course of several films in the MCU, we’ve seen SHIELD depicted as a peacekeeping and espionage organization with seemingly noble intentions, much like Stormwatch. However, the film drops a massive bombshell and shatters our view on SHIELD by showing that SHIELD and HYDRA, its nemesis organization, are effectively one and the same. Due to high-level infiltrations and assassinations, SHIELD was eventually corrupted by HYDRA agents even at the highest levels. However, the most terrifying prospect is the fact that eventually the goals of both organizations became so fundamentally alike that they became indistinguishable from each other. This curious juxtaposition is rather ironic when we take into consideration certain things. For one, the modern Captain America comics from which this film is based off is the highly acclaimed run by writer Ed Brubaker. Before Brubaker moved to Marvel Comics, he had delivered several highly acclaimed works while working for Wildstorm Comics, amongst them Point Blank and Sleeper. But Brubaker’s work on Coup d’Etat and the direct follow-up, The Authority: Revolution, a 12 issue series, showed how the Authority took over the United States of America and their attempt at ruling a nation. Brubaker aptly depicted the actual takeover as extremely easy for a group as powerful as the Authority. However, the actual ruling of a nation, even with the most benevolent intentions, proved more difficult. It exposed the genuine cracks in the relationships within the team and ultimately made them realize something about themselves: in many ways they were no better at ruling and eventually became that which they hated and had fought so hard against. This ties into the same particular problem of SHIELD in TWS. Eventually, both the Authority and Captain America come to realize that working away from government oversight is the only way to efficiently protect the world and to remain isolated from governmental agendas. Read up on the revamp of the shooter! For the subsequent film, CAPTAIN AMERICA: CIVIL WAR, the Avengers find themselves in the middle of an international incident after a conflict between mercenaries and themselves takes innocent lives and creates considerable collateral damage. The United Nations eventually proposes that all superheroes become registered and require authorization from a security council in order to be deployed. Captain America is naturally against this and begins to openly rebel against this new piece of legislation when the life of his friend Bucky AKA The Winter Soldier is threatened after he is accused of bombing the delegation wherein the registration act was being signed into law. However, Steve Rogers own rejection of the act is tied to his previous experience with SHIELD. Accused by James Rhodes of a dangerously rogue stance on the matter of oversight, we clearly see how Captain America is no longer a proponent of the status quo but a borderline insurrectionist who decides for himself how and why to use his power. Yet again, we turn to the source material from which this film is based off. The comic book Civil War illustrated Steve McNiven and written by Mark Millar is, by the writer’s own admission, political because he simply can’t help himself. His take on Captain America in the comic book is rather close to the irreverence displayed by the Authority during his run on the book and the film reflects that with his actions constantly draped in defiance to those that seek to enforce the new status quo. While these films have most clearly demonstrated their influence, especially since much of the source material was written by those who at one point or another worked on The Authority, it remains to be seen if these themes will persist within the MCU or if they have run their course thematically but will retain the widescreen theatrics and aesthetics of these books. A look into the Wally West Flash Family! In 2013, NetherRealm Studios, the subsidiary of Warner Bros. Interactive Entertainment released INJUSTICE: GODS AMONG US for PC, Xbox 360, PlayStation 3 and 4. A 2.5D fighting game in the style of the studio’s previous outing, MORTAL KOMBAT, the game distinguished itself by replacing the blood and gore intrinsic to that series and replaced it with blockbuster action, scale, and cinematic super moves. 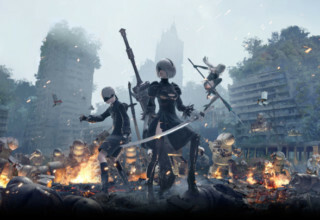 Apart from having great combat mechanics and a great roster of characters (at least in its Ultimate Edition), the game featured an extensive cinematic story mode that could be summarized as “A Better World” but in playable form. The game’s story centers on the existence of two alternate universes; one where the Justice League acts in much the same way we’d expect of them. But another where the Justice League, under a tyrannical Superman’s rule, has instituted a One Earth Government, running the world as fascist oligarchy on the surface but truly and solely under Superman’s heel. The game never really delves in politics and character motivations, presenting the fascist Justice League’s world after the fact. The task of truly showing Superman and his cohorts’ descent into corruption is left to the comic book series of the same name written by Tom Taylor. Overt the span of 5 years in-universe, Taylor depicts the myriad events that lead to the civil war between Superman’s Justice League and Batman’s outsiders. The takeover is not initially as overt and begins simply with Superman’s harder stance on supervillains and otherworldly threats. Some key examples from the book are Superman’s murder of the Martian Manhunter, Batman’s maiming at his hands and the indiscriminate slaughter of an army of para-demons and of their leader, the New God Kalibak. Eventually, several heroes led by Batman begin to actively challenge Superman, correctly deducing that he is mentally unstable due to the death of his wife Lois and their unborn child. In one sequence taking inspiration from the JLU episode “Flashpoint,” Captain Atom and Superman do battle as the former is tasked by the government with eliminating the rogue Superman. Much like in the show, he fails and loses his life in the process, hoping to take Superman with him in the blast. Another hero who dies by Superman’s hand is Green Arrow. Having infiltrated Superman’s Fortress of Solitude in order to steal a nanotech pill that endows those that consume it with Kryptonian levels of strength and endurance. Further into the storyline, a true tipping point in the politics of Superman are presented when he allies himself with Sinestro and his Yellow Lantern Corps. This brings him into conflict with the Green Lantern Corps., which places Hal Jordan’s loyalty at a crux point despite him agreeing with Superman’s overall intent and goal. At one point, he prevents a government shutdown by literally trapping senators and congressman in the building and proclaims his authority as vested in him by the Guardians of the Universe to coerce them into avoiding the issue. It’s a small moment in the sprawling comic epic but it echoes many of the moments from other works that I have already written about. As if to cement what once could’ve been a coincidence into a full-blown pattern, Tom Taylor was the last writer to ever work on The Authority before it was canceled and Wildstorm Comics folded into the larger DC canon. The Revamped Origin of Wonder Woman! In 2015, Bruce Timm triumphantly returned from a self-imposed hiatus with a new multimedia project. A film, an online animated short series, and a comic book limited series released with the title of JUSTICE LEAGUE: GODS AND MONSTERS. Only 3 animated shorts were released as a prelude to the launch of the actual film, along with 3 one-shot comics, each one spotlighting one member of the Justice League from this new incarnation. Considerably bare bones when compared to the massive cast from JLU, this new Justice League is formed of the Trinity: Superman, Batman, and Wonder Woman. But this new take is considerably different. The film, the animated shorts and the comics focus on backstories and the present struggles of the characters. For one, Superman is the biological son of Lara and General Zod as opposed to Jor-El. Launched to Earth in a similar manner, he lands instead somewhere along the U.S.- Mexico border and is picked up by illegal immigrants and raised as Hernan Guerra instead of Clark Kent. His upbringing as an illegal immigrant formed his viewpoint on the world as a cruel and hard place and his view on justice is harsher than that of his canonical counterpart. Batman is not Bruce Wayne, but Kirk Langstrom. He is depicted as an actual vampire who drinks the blood of his enemies and shows no compunction about killing, much like the new Superman. Wonder Woman is Bekka of the New Gods and not Diana of Themyscira. 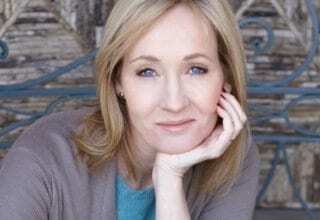 Her backstory is a tragedy rooted in a love befitting of the myths of the New Gods. 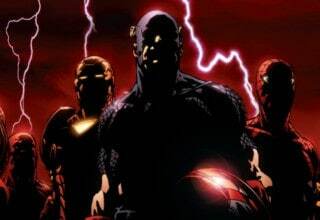 The three of them form a Justice League that shows similar disdain for the governments of the world, imposing justice as they see fit and with nary an issue with killing their enemies. They also constantly ponder just outright taking over the world, reasoning that forcefully uniting the world would eliminate petty political squabbles. 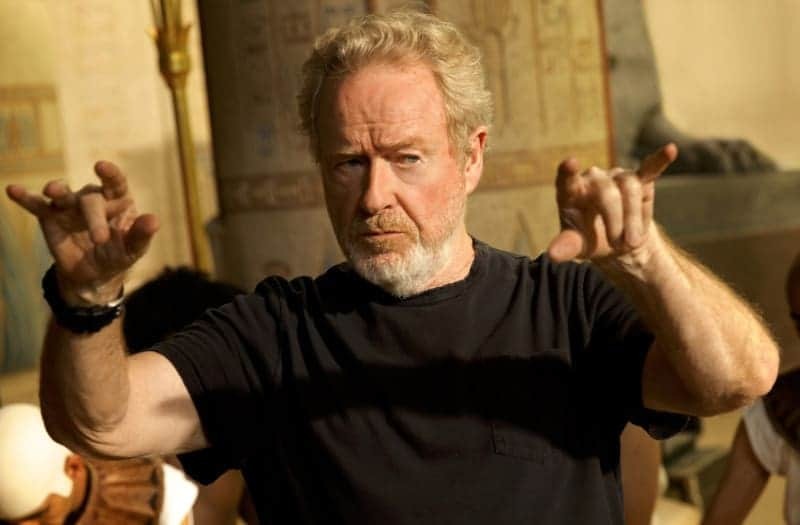 While the conclusion of the film ultimately rejects the fascistic point of view, it nevertheless appreciates the proactive stance exhibited in Ellis’ works. I wrote earlier in the piece that Ellis’ work had not received the proper accreditation in recent years, especially in regards to the depth of influence it has had in major works at the fore of popular culture. I’d like to think that this piece has demonstrated the adequate connections between works so as to better elucidate the impact and popularity that these works and their themes in the realm of comics have had over major works in other mediums. With the impending release of INJUSTICE 2 and Warren Ellis’ triumphant return to Wildstorm properties this coming year, I believe we are seeing that, despite the age of these comic runs, their influence cannot be overstated since they are constantly being referenced overtly and subtly. Writer Grant Morrison wrote the introduction to the first volume of The Authority collections back in 2000. He said “At a stroke THE AUTHORITY has endowed the tired superhero archetypes with vigorous new meaning, pumping the volume until noses bleed and bass patterns register deep on the Richter scale in Norway. Tell your jealous brats, the storm broke here…” How fitting those last words are now, a full 16 years later. Because we’re still living that storm to the day. Whether anyone knows it or not.